One of the things about which we are most proud at Tifereth Israel is our Samuel M. Melton Religious School. 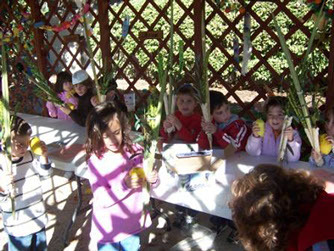 Winner of a coveted “Framework for Excellence” award from the United Synagogue of Conservative Judaism, our school, under the leadership of Interim Education Director, Miriam Berk, is a place where top-quality education, informal Jewish education, and immersive, fun experiences meet. Students attend twice-weekly – on Sunday, at our synagogue, and on either Tuesday or Wednesday at our synagogue, or a satellite site at the New Albany JCC. We also have structured family education components in our curriculum that provide key moments of family connection in a time when our attention is often split. We are renowned throughout the community as a model of special needs integration. We are especially proud of our teachers, many of whom are lifetime educators with advanced degrees. We engage our teachers in constant professional development work, and we compensate them well, because we take education seriously and see it as a funding priority. We don’t take lightly that our school is named for Samuel M. Melton. Sam Melton was a Tifereth Israel congregant, and is known for his major philanthropy in the realm of Jewish education in America. He is credited with significantly raising the quality of American Jewish education nationally, and the Tifereth Israel religious school, named for him and led by him, is an example of his passion. For more information, or to enroll, contact Interim Education Director, Miriam Berk. 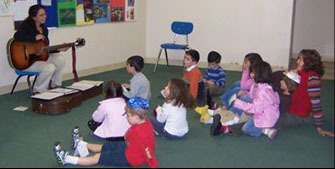 It is the mission of the Samuel M. Melton Religious School to develop responsible and knowledgeable people with positive Jewish identities who actively participate in Jewish life in the community, synagogue and at home. 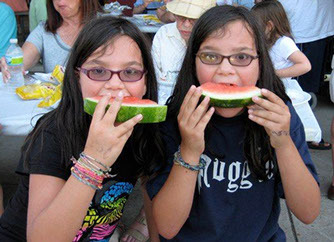 Committed to excellence in Conservative Judaic study, ritual, and responsibility, the Samuel M. Melton Religious School incorporates traditional and innovative educational experiences reaching beyond the classroom to involve the entire family. From generation to generation the Jewish people have taught their children to cherish the knowledge and faith of their unique heritage and to strive to live in accordance with Jewish values based on love of God, Torah, and Israel. 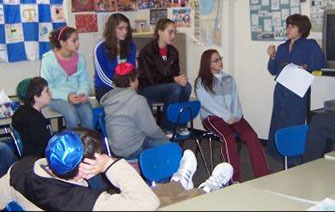 The Samuel M. Melton Religious School seeks to achieve excellence in Conservative Judaic education by creating an environment which will inspire students and nurture their desire to engage in life-long Jewish learning and practice. • Enable students to make decisions in their ethical life informed by Jewish values. • Develop the necessary skills and desire to practice the mitzvot and traditions of Jewish life. most sacred text of the Jewish people. of our liturgy, read and write Hebrew sentences and participate in simple Hebrew dialogue. • Develop the knowledge and skills to actively participate in Shabbat, holiday and weekday services. • Broaden and deepen intellectual and spiritual life through familiarity with Jewish culture and our past. • Empower families to make Jewish practice a regular and meaningful part of their daily lives. • Motivate interest in Jewish study which continues beyond the school and throughout one’s lifetime.